Share the performing arts with a wider audience. A wonderful way to advertise productions or fundraisers, the Performing Arts Invitation boasts a rich background. 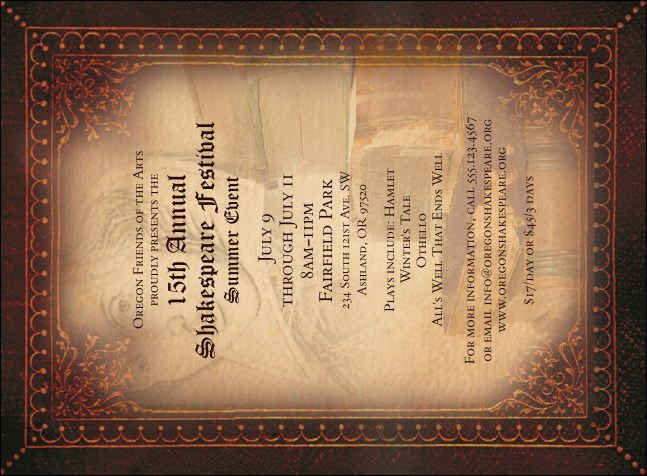 With an image of William Shakespeare and a gilded frame, this invitation template provides a warm welcome for all your attendees. With great designs, TicketPrinting.com puts your event in the spotlight.